With DOOM and Wolfenstein II: The New Colossus heading to Switch, many are understandably intrigued to see exactly how well they will perform on the system. Recently we shared details on how DOOM is set to look on the console - perhaps most notably including the fact that it will run at 720p in both docked and undocked modes - and, thanks to a Gamespot interview with the game's director (Jens Matthies), we now know to expect a similar performance for Wolfenstein II. 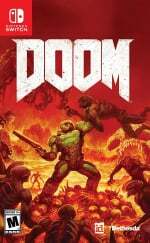 When asked about the experience we can expect to have with the Switch version of the game, Matthies mentions DOOM as being a good "reference point", emphasizing that both games are running on the same engine. This should, in theory, mean that both games will perform equally in terms of things such as their graphical output and framerates. It's also reiterated that, beyond that, "it doesn't really matter what kind of platform you're on, it's still the same game". As you may well be aware, DOOM is scheduled for release this holiday season with Wolfenstein II following in its footsteps sometime next year. Once we can get our hands on the former properly later this year we should have a better understanding of what to expect for the latter. That said, we were pleased with what we saw when we played it in the handheld mode not too long ago. Are you looking forward to these games coming to Nintendo Switch, and do you think they'll hold up well on the hardware? It was to be expected. At least this is new and not another old port. Just give me the game. It will be more then good enough for me! The footage of DOOM looked pretty impressive. 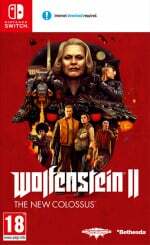 I probably won't buy it because I already have it on PC but if Wolfenstein 2 is just as smooth at the same quality I'll definitely hold out for the Switch version. It will be when it comes out on the Switch. Something to look forward to, no doubt. Doom looks superb on Switch, really can't wait to play it. No doubt it'll be ripped apart by the vocal minority and certain idiotic reviewers at release for not comparing graphically to the twins versions and for not costing 20 quid, there for damaging it's chances of success. This comment applies to LA Noire, Skyrim and eventually Wolfenstein 2 as well. Then this same vocal minority will complain about future 3rd party games skipping Switch. it is a nice achievement - but I'm playing this on PC like the last one. It is only $37 dollars on PC and that gives me [email protected], all the DLC and keyboard and mouse support. I can play something else on the go. I really don't think I could make myself wait anyway LOL! That it sells well in general (so we get more) is all I care about. Doom on any Nintendo systems seem like an achievement whereas on other platforms it's just an afterthoughts. It would be nice to get an HD remastered of Doom 64 for Switch though, I would buy that day one if Bethesda ever decided to remastered it. @retro_player_22 Bethesda games in general on Nintendo feel like achievements, where on other consoles it's always felt as a "lesser PC afterthought." I'm fine with old ports, they fluff up the library size, quality, and choices — as long as it's getting many new things too. There's really no reason to complain other than looking for a reason to. I'm in. I'm just glad I get to play this on the go, DOOM included. @OorWullie I believe it wont matter as much as some people think. Reviewers can tear them down based on comparisons to home consoles all they like, at the end of the day gamers buying into Switch know what they are getting. Average Joe (i.e mum, dad and little Jimmy) won't give a hoot. Just shut up and take my Koopa Coins. Day one for me. I don't care about it being 30fps as long as it's solid. Just give me Splatoon-like gyro controls and I'll buy it day one. Being a PC gamer for 15 years straight using only mouse and keyboard before quitting, I just can't play shooters with dual stick aiming without gyro assist on consoles. This is an essential advantage on games requiring strafing or jumping WHILE locking in your target if you wanna be competitive online. Gyro-assisted aiming comes close to mouse aiming in terms of reaction time (or lock on target time) compared to the traditional dual stick aiming imo. I've been dithering on getting Doom since its release. Its not my kind of thing, but it looks great. So glad I waited now, I'll play it for sure on Switch. DOOM and Wolfenstein 2 will be 2 of the best looking games on Switch. I'll be buying both day one, and can't wait. The first Wolfenstein was shockingly good. One of the biggest unexpected hits of that year. One gyro controlled FPS for me, thank you. Oh, could I also have wireless local multiplayer sprinkled on top of it as well? So unacceptably low. Called it. @Iggy-Koopa That's what I'd hope but I feel it's hurt FIFA and could hurt mature titles likes Doom and Skyrim that mum and dad won't buy little Jimmy. Of course EA didn't help matters by not sending out any review copies till the day of release. Not sure why they done that actually as other than the lack of online play with friends they had nothing to hide. The game has actually exceeded my expectations, it's quality but sadly, finding opponents online to play can sometimes be difficult. If it's like that now, just after release then it's likely going to get more difficult as the weeks and months go by. @Iggy-Koopa it will Matter. In the end a bunch of Mum, Dad and aunt Betty not buying a game with a demon on the cover for little jimmy. You need a bunch of the Doom/Wolfenstein fan base to jump over. Fifa 18 made it clear that people won't buy any random port just because it is portable (or they signed up for the Switch Hybrid ride). At least this is feature complete - I think cutting content out is what set some people off. I think the difference between EA and Bethesda is that people didn't have high hopes for their FIFA game in the first place. EA has burned Nintendo gamers in the past, and sometimes when you burn trust it's hard to get out of that rut, especially when their portable FIFA was missing features. Whereas, even around here, a lot of people claim they will support releases like DOOM and Skyrim. Bethesda has never released their games on a Nintendo system. They have never burned anyone's trust here. On top of that, they are putting in actual effort. The games look amazing. That's all anyone who cares wanted. I don't think these games will end the same way as FIFA, but how highly they sale with great competition is a different story. Since I can play Doom in 4K Ultra/Nightmare on my PC and still maintain high 50s in the fps dept with vsync turned off, and play w/ KBM controls, it puts me in a position where I’ve got the “eye candy” / “precision controls” aspect well covered. And as a result, I can say with the utmost degree of conviction, passion, and certainty that I would — — — MUCH— — — rather play Doom in 720p at low (or even a little less than low) settings using joycons with the ability to play on the big screen or on the go, than I would at [only sometimes] 1080p at medium settings using a PS4 or XB1 controller - even the XB1 Elite controller......a million, BILLION times over! And so yet again, in what is becoming an almost 100% of the time refrain for me: between the power of the PC, and the flexibility of the Switch, the PS4 and the XB1 just keep slipping further and further into irrelevance for me. Console exclusives and free XBLG/PS+ goodies (and our using the XB1 as a Blu-Ray player) will serve to keep them from becoming COMPLETELY AND TOTALLY worthless to me......that, plus my completist “collectoarder” tendencies will prevent me from abandoning them completely. But oh my stars and garters how the gap I feel between Switch and PC gaming being “gaming ‘up here’” (top level, “premier” gaming) and the PS4 and XB1 gaming being “gaming ‘down there’ (“second class citizen” gaming) only seems to grow wider and wider every time I get seemingly any new Switch news whatsoever (or to a lesser extent, new PC hardware news). It is just astounding. When treated as a pair, PC and Switch are just leaving PS and XB completely in the dust! And that’s not something I see improving all that much with the rise of Pro and 1X. Now, universal gaming praise considerations aside, I do still have one serious beef with the news of Doom on Switch: parity between Docked and Undocked modes! I -HATE- it when I hear that! It makes me borderline furious...for real. Regardless of how powerful (or weak) the Switch may or may not be, the one indisputable fact is that the Switch is meaningfully more powerful when Docked than whatever it is when Undocked. And so, when you see zero performance improvements whatsoever in Docked mode, it means that something along a spectrum ranging anywhere from complete developer incompetence to complete developer laziness (or of course, any conceivable midpoint mix of the two in between) is occurring, and that extra power is not being utilized. As Minecraft shows, it’s never impossible that a future update will unlock the extra power of the Docked system and fix this problem. And we certainly hope for that, but until then, it’s a complete waste of resources - resources that are only all the more precious for a heavy-hitting game like Doom, especially as the AAA developer world watching this with interest to gauge how viable their own blockbuster may be on the platform (bad time for a misstep)! The analogy would be six months after the XB1X comes out, they release a major title that will only run at oXB1 spec, and take no advantage whatsoever of what the 1X offers. The only difference is they’re not wasting our $500 we would’ve spent on 1X to get the extra power, since we got the dock for free....but beyond that, it’s EXACTLY THE SAME.......(I’ll go ahead and say it)......— CRIME— ! Why not kick it up to 900p, with dynamic scaling? Or why not up the detail level a bit? Enhanced lighting? Something! Anything to separate it from the base Undocked experience! I hope a future update will do that. And don’t tell me it’s not powerful enough to add....something. If Undocked runs at 40% of the Docked, then even if the current experience completely maxes the Undocked spec, that still leaves added bandwidth untapped when Docked. Use it. Utilize it. Give us both a portable and a console experience as this very system is designed to have, not just a portable experience that we can rebroadcast on a bigger screen and make it only look worse in the process. I’m speaking to the developer directly now when I say this: you’re either lazy if you don’t.......or stupid.....or both. Which one is it, hmmmm? Anyway, everything happy and unhappy I’ve said above withstanding, in this case, it doesn’t matter quite as much to me as with having the PC version for the big screen, I will probably do 90% of my Doom playing on Switch in Handheld mode anyway. Plus, there’s a good deal of grace to be offered Doom in my mind for being on the Switch in the first place as upon launch of the system, Doom was the game (in my mind) that was kinda the “oh man, wouldn’t it be great if....but yeah right” pipe dream for the system - a pipe dream that has now become (or is in the process of becoming) a reality after all. Vindication for the system, and quite possibly, the beginnings of the flood gates being opened to the AAA titles that heretofore have been, not necessarily “out of reach” of the system per se, but kept at bay, at least. Anyway, I would still much rather play it on Switch than on PS4 or XB1, and am still quite happy to have it - even with its simply glaring flaw which paints the developer oh so horribly! Now fix the Docked / Undocked parity issue, and we’ll have something truly magnificent and [quote unquote] “perfect” on our hands here! I’m so happy to read mostly positive feedback for once. I was expecting to read a bunch of cry baby 30fps, 720 tear laced responses. Who cares! This is an attempt at getting 3rd party games, if it goes well there will be more, stop crying number filled tears and be happy the game is coming at all. @Velting It’s a bit “tl;dr”, but if you want to see a response that ultimately begins and ends quite positively, but still has a major gripe in the middle (meaning I’m neither being “jaded hater”, nor “blind fanboy” here), read my comment. As of this writing, it’s the one that appears directly above yours. Big picture: I’m super happy here. But there’s still one aspect about all this that makes me VERY upset....and no, it’s not $60, nor 30fps, nor 720p - at least, not directly.....you’ll see what I mean if you read it. Bethesda can teach Capcom a thing or two on how to actually support a console. @NerDNoiseRaido totally wasn’t directed to your post. I actually read yours and thought you were well composed. I was more directing it to all the other posts I read on here that can usually sway a potential buyer or excimer away because all of the trump-like trolls responses. I’m just sick of all the sad teen age bully reaponces I see stating that they won’t buy something beasuse it isn’t 1080. I’m just saying, if a haters gonna hate take it somewhere else. I don’t care if they aren’t going to buy a games. I would just like to appreciate a game we couldn’t have last generation on a Nintendo console and like to have the option of owning something in an Xbox/PlayStation dominated time. Looks like Bethesda did what they could with the Switch, though some are complaining about the frame rates. Looks to me like Doom will rock but I haven't played it yet so I don't know. But so far I'm impressed with Bethesda and will buy Doom day 1. @Agramonte Reviews won't affect things like FIFA, footie is footie and the majority of reviews won't be read by mum and dad. DOOM is still DOOM, all hands on impressions have stated such, and Switch/portable fans won't give two hoots about 720/30fps - they will only care that Bethesda have managed to shoehorn it into a tiny cartridge. And I'm willing to bet FIFA 18 will be improved over time on Switch anyway, almost a staggered plan. Looking at Switch for what it is, it's no big deal. I'll take these versions over nothing at all, and that doesn't mean I'm a sucker. It means I want to play my games anywhere, with anyone. @OorWullie Don't worry, Black Friday and Xmas sales will do wonders for Switch and FIFA alike. I know it sounds crazy, but I'm willing to bet that it will shift a lot more copies in the months to come. @BradC40 Indeed. To think we have all of these Bethesda titles, Metroid, Yoshi, Pikmin, Xenoblade, Pokemon, Shin Megami Tensei, No More Heroes and more to come is quite stagerring. @westman98 I can't remember where, so don't quote me on this but, I believe that's what was said. This will be 720p, 30fps all around. I'm good with that. I think as long as the game is fun the rest is gravy. @OorWullie and I'm in the minority who will be purchasing all 4 of those games, 2 of which I have never played. Skyrim and wolfenstein. Dark souls ruled my life so I skipped skyrim. I'm super hyped it's coming to switch. Getting doom and wf 2 and any other ID games that come over!!! @NerdNoiseRadio : I agree with pretty much everything you've said. As badly as I want to cradle DOOM in my arms at this very moment, I would much rather prefer that they delay it by a few more months into 2018 if that means boosting the docked performance of the game. This is one of few games I can see myself playing on the big screen, and for there to be no discernable difference in performance or appearance is inexcusable and defeats the purpose when the game would look so much better being run natively at 720p on the Switch's own screen. As much as I'm thrilled to see games like these coming to Switch, I'd have to agree with @sillygostly and @NerdNoiseRadio about the docked mode showing no performance jump from portable. There's no excuse for this. If it's running at these settings on portable, we know it can run better in docked mode. Still super excited for these games and will likely buy them all. @The_Mysteron : Definitely. It doesn't dampen my excitement by any stretch, but it's disheartening that these games aren't being nurtured to their full potential. @Iggy-Koopa "Switch gamers are the average Joe (i.e mum, dad and little Jimmy)." Who on Earth told you that? Where did you find the statistics for the average Joe thing? Enough with these comments that feel the absolute need to categorize people. Awesome, I'll be picking both titles up. 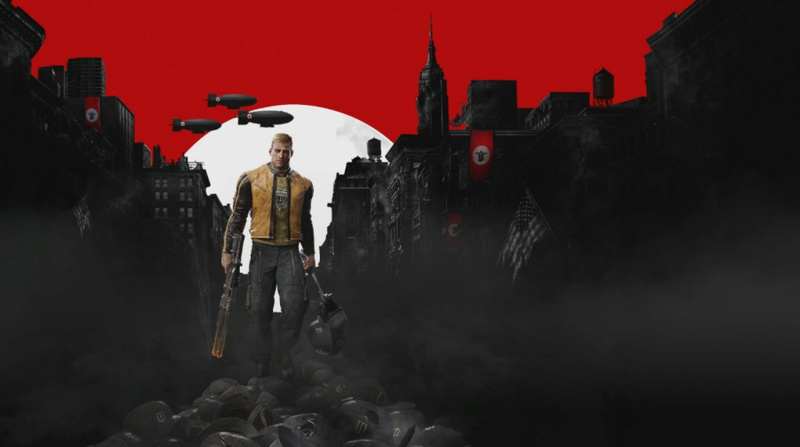 Fingers crossed that they put the first Wolfenstien on Switch too. cool and all but mouse/kb forever for these games. no jiggle sticks. they may 'work' for some FPS (halo's slowness and super hitboxes were OK) but for these games PC only. gotta have that mouse/kb. @Iggy-Koopa I hope you're right. A nice Black Friday £30/$40 FIFA deal would certainly help. I plan to pick up DOOM at some point, probably after Christmas. Wolfenstein 2 is on my radar but I want to finish the New Order on PC first. On the other hand, if I may be so bold, I have seen some of your comments on the site and I think i have a solution to your beef with Nintendo: You should bail until the next gen. Forget about Nintendo for while, don't buy a Switch. And I don't mean just in terms of your gaming, but also on the sites you visit. It is clear that your general opinion is based on you not owning a Switch, because if you did, you would love it like the rest of us. I don't mean to be pedantic, but I don't see the point on the endless criticism of a product you don't really know first hand, when you can actually make your opinion matter with your money. Unless you like arguing online, which is fine, too. I think for those who do not have a gaming PC, or PS4, or those who specifically want to be able to play the game on the go, this is great. But for those planning on playing at home, docked, most of the time, you should really just get the PC or PS4 version. And this is coming from a die hard Switch fan. I LOVE the system. But these games aren't made for it. They are ported to it. You'll get the best results on the platform they were made for. Don't be too hasty in assuming it gets no boost in Docked mode. It may well be sub-720p in handheld and solid 720p docked, using dynamic Resolution. I’m not too bothered by resolution/frame rate. I’ve been solidly playing GoldenEye for the last few months and it runs at 320x240 at something like 15-20fps! My only sticking point with Doom is the lack of gyro controls. After Splattoon 2 I really don’t want to play an FPS without gyro. The right stick should still be usable too, as I use that for large aiming changes and then the superb accuracy of the gyro is for fine tuning my aim. I really really REALLY wish they'd include gyro controls. They're doing it for Skyrim, for crying out loud! Going by all the comments everywhere it's clear a very substantial portion of the Switch demographic for this game want gyro aiming to be in there, yet for some bizarre reason, Bethesda won't do it. :/ It's really a big sticking point for me, as well as a lot of others, apparently. Not really interested in games with realistic graphics nowadays but i really hope this does well so other 3rd parties can trust us. Waiting for you Vanillaware and Atlus! @Cosats I feel that you may have added a new words there, ergo completely misconstruing what my original post meant. I'll have DOOM on my Xmas list for sure, and I want LA Noire too. Both games were on my list to buy when they originally came out but I always had other stuff. I'm tempted to pick up Skyrim to play on the go but I already have it for the 360. That game, I'm on the fence for. I'll probably give it a go in the future because it's that good and playing it on the go will give me the best chance to actually finish it this time. Wolfenstein II has been on my radar for the PS4 since I watched the trailer during E3. These are the games I was envisioning when I preordered the Switch. Skyrim, Doom, Fifa on the go, not just out of the house, but on the couch while my girlfriend watches the voice. I was blindsided with how good BOTW is, since I don't even like Zelda games. I'm prepared to be astounded at odyssey as well. All I need is to have those meaty RPGs (Persona which wound happen) to make the Switch and this console is everything a young me wanted the Vita to be. Not interested in Wolfenstein, but I already preordered doom. Can't wait to play it. Excellent points!! I'm unsure why/when people suddenly obsessed over framerate and resolution, if a game has great gameplay then who cares. When did gamers become like train spotters? @Heavyarms55 I get what you’re saying, but let me offer a counter-perspective: The PS4 version is actually the one that’s “worthless” to me, as it’s neither anywhere near close enough to what I can get on my PC to make it a worthwhile replacement for that, nor is it “better enough” than the Switch version to make me willing to choose it over the flexibility of what the Switch offers. That the PS4 is “the middle option” of the three in terms of performance is definitely not in dispute. But whether that middle option offers anyone with all three platforms anything “of real value” in light of the other two versions is what I have serious reservations about. Obviously, if all a person has is a PS4 or an XB1, then yeah, get Doom on it. Totally! And, I say if you have a Switch and a PS4 (or XB1), but don’t have a PC, then I say get both versions. But if you have a Switch and a PC and a PS4/XB1, then I say skip PS4/XB1 and get the other two versions. And I also say that if you have a PC, regardless of whether you have a Switch or not, to skip the PS4 and XB1 versions as well, for what do they offer that you don’t already get in a way better form on PC? Anyway, that’s my take on the matter. And I’m coming at this as one who has a PC capable enough to run the game in 4K Ultra/Nightmare and still get high 50s fps so long as I keep vSync turned off, as well as having a PS4, an XB1, and a Switch. I have the game on the PC, obviously, plan to get it on Switch, and have no plans to get it on PS4 unless it becomes just ridiculously cheap. I do have it on XB1, but only because I received it as a gift, and I never use it. Do with that perspective whatever you will, mate! @electrolite77 Yes, that is entirely possible. And it would vacate my complaint if it were so. However, the impression I had was that the Undocked version also ran in solid 720p. I guess we will see. This is one I’ll buy even if it is parity, though I’d be a lot happier if it wasn’t parity. Of course, it’s a bit of a dubious “cure” for me if the parity is defeated not by the Docked mode going up from expectations, but by the Undocked mode going down, right? @Velting Oh, no worries! I never took it as directed at me. I was simply offering up my perspective as something of a remedy to what you were encountering - only without going so far as to refuse to level some measured criticism where I felt it was warranted. Nope, we’re all good here! In fact, i’m completely with you in my disdain for those who so freely “ejaculate” doom (not the game) and gloom on here. I mean, free speech and all, but it’s kind of a waste of one’s life, in my opinion. If I were ever to adopt such a fatalistic stance towards the system, do you know what I’d personally do? Stop hanging around on these sites, and go find something more rewarding and fulfilling to do. You know? Anyway, I get the impression you’d probably do the same.